Yep, one million units in one year, now THAT would be something to remembre. Below these two, there are two usual suspects, with the Tesla Model S and Outlander PHEV getting ready to resume the race for #3, in the second half of this Top 10, there are na additional three models coming from China, substanting the record 35% share that Chinese carmakers currently have in the EV market. BYD started the year as it ended 2015, leading the EV charge, followed by a 30 kWh reignited Nissan, with Tesla and Mitsubishi continuing the race for the Bronze Medal. In the low end of the manufacturers ranking, the big news are the Top 10 positions of the chinese BAIC and JAC, pushing down Chevrolet and Ford. The Japanese EV market started the year on good note, with sales up 45% regarding January 2015, with the 3.500 units representing the best month since September '14, placing the EV Share at 0.93%, will this mean that the Japanese EV market is back on track? The 30kWh version of the Nissan Leaf arrived in a big way and propelled Nissan's hatch to near record levels, with 2.503 units (Record was 2.593 units, made in Feb. '11), leaving behind the Outlander PHEV by a wide margin, Mitsu's SUV recorded 801 units, dropping 3% YoY. EV Sales had a great start in Portugal, with 114 registrations, a 256% increase YoY, placing the EV Share above 0.8%, a new all-time record, with the bulk of this growth coming from Plug-In Hybrids, with this technology reaching 68% share, being the first time PHEV's surpassed BEV's in this market. The first all-electric vehicle comes in Third, with the Nissan Leaf registering 14 units, a somewhat disappointing result that might be explained by Nissan preferring to deliver the 30kWh version in larger markets. Outside the podium, we have the BMW i3, with 12 units, all being of the BEV variety, followed by two Volvo's, the V60 Plug-In and the XC90 T8, with the swedish brand beating its volume record this month. In the manufacturers ranking, Mitsubishi (32% Share) started the year in the leadership, followed by Mercedes (17%), this being the highest place for the german brand in the world, with Nissan and Volvo in Third (12%). Last May, i made a small study regarding the distribution of EV's in my home country, based on used car websites and other sources, now i have updated it, remember this should only be seen as an indication of how electric vehicles are distributed across the portuguese territory. For the information to be easier to understand for people not familiar with the local geography, i have divided the country in seven areas: Northwest (Porto, Aveiro, Braga and Viana do Castelo districts), Northeast (Bragança, Vila Real, Guarda and Viseu), Center (Coimbra, Castelo Branco, Leiria and Santarém), Lisbon Metropolitan Area (Lisbon and Setubal), South (Portalegre, Evora, Beja and Faro), Azores and Madeira Islands. Following Lisbon Metropolitan area, this is the second area with most EV's, the Nissan Leaf is by far the most popular model, with 9 units, followed by the I-Miev triplets and Renault Zoe, with 4 units, and a big number of models with 3 units, half of them being of the PHEV variety, like the Volvo V60 Plug-In. Known for having the harshest conditions for EV's in mainland Portugal, with snow falling cold winters, 30ºC-something summers and lots of big mountains to cross, it would be expected that PHEV's and especially the Outlander PHEV would be popular here, that's not the case, the most common EV is the Nissan Leaf, with 3 units, followed by the Renault Twizy(! ), with two units and one Citroen C-Zero. There isn't a model of preference in this transitional North-South area, with several models collecting 3 units: Nissan Leaf, Mitsubishi Outlander PHEV, Tesla Model S and Renault Zoe. 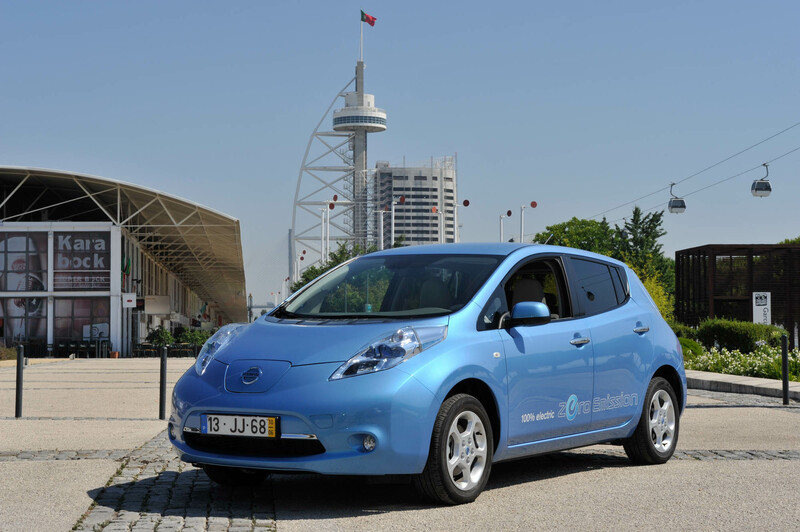 Lisbon is not only the nation's capital, but also the only place where with no effort you find EV's around the corner, with 40% of the total fleet of EV's being found in this small area. The most common EV is the Nissan Leaf, with 11 units, followed by the Renault Twizy and BMW i3, with 5 units. Lisbon also has the most heterogeneous offer, with 16 models represented, including an imported Think City. In this area most ost EV's are concentrated in the tourist-friendly Algarve, with two Leafs and a number of models in single numbers, like the Renault Zoe, Twizy, Tesla Model S, or the Outlander PHEV. But the scorching-hot (We are talking of 40ºC-something summers) Beja district also registers two EV's, one Nissan Leaf and a Mitsubishi I-Miev, so the most common EV in the South is the Nissan Leaf, with three units. There is little info on these markets, there seems to be little reception to EV's, which is a shame, as mild climates and shorter distances are good conditions for plug-ins. 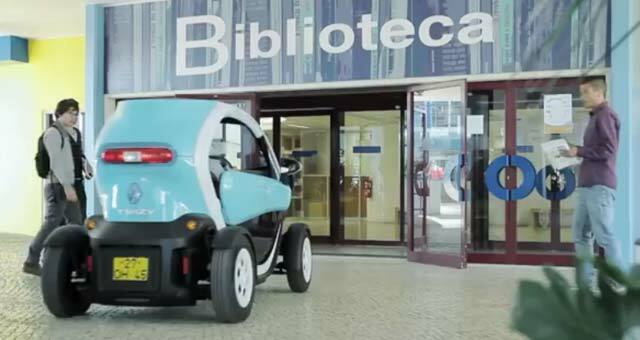 Anyway, the most common EV here is the Renault Twizy, with 3 units (2 in Madeira, 1 in Azores), with a BMW i3 founding the way to the Azores (São Miguel Island, to be more precise). If the Nissan Leaf might be considered a success story across mainland Portugal, there are a couple other cases worthy of mention, unlike what one might think, the Mitsu Outlander PHEV is more popular in the southern areas, where ice and snow are not a problem, Teslas are starting to be scattered across the country, but the reality is that small difusion EV's tend to be concentrated in Lisbon and in the NW (Braga-Porto-Aveiro) industrial belt. Still without Austria and Portugal numbers, but with the updated France data, the European market had more than 11.000 registrations in January, a modest 4% increase over January 2015, something that can be explained by the hangover of the year end sales rush in countries like Netherlands, Sweden or Denmark, as the year progresses it is expected that the growth rate returns firmly to double digits. Looking at the models ranking, we can see that the two Best Selling Plug-in Hybrids of 2015, Outlander PHEV and Golf GTE, saw their sales drop almost by half YoY, derived from the falling of the Dutch and Swedish markets, while the Renault Zoe (Fifth consecutive month in four digits, best sequence to date) managed to start the year in the leadership, a first for the finally-fulfilling-expectations French Hatch, now the question begs, will it stay there for long? The Outlander PHEV dropped to #2, followed by the Nissan Leaf, in Third, and the VW e-Golf(!) 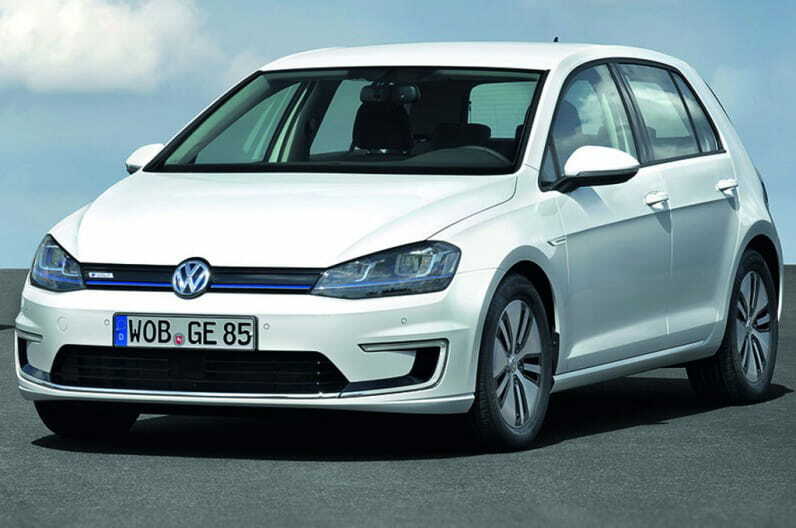 in Fourth, it was the first time in 10 months that the 100% electric version of the Golf managed to outsell its Plug-in Hybrid twin. Other points of interest in the ranking are the inclusion in the Top 10 of the Volvo XC90 and BMW X5 PHEV versions, both trailing the Porsche Cayenne Plug-In (#13) in the hot Luxury SUV niche, and also the fact that the jurassic Peugeot iOn outsold the VW e-Up! as best selling City Car, being the first time since 2012(!) that one of the I-Miev triplets is ahead of this particular segment. Looking at the brands ranking, the trophy bearer, Volkswagen, is the leader, with 15% share, but Renault is only 12 units behind, while the Third placed BMW isn't that far off, with 13% share. The Two New Heavyweight Champions in Belgium? This Sweet as Belgian Chocolate start had the help of a new purchase subsidy in the Flanders region, that started on January 1st, with the majority of models benefiting from the favorable season, but there was one particular type of vehicle to excel last month: The Luxury SUV. As snow visited Belgium in January, we had a 100% SUV podium, with the Volvo XC90 T8 beating the all-time sales record for a single model, with 203 units, in only its third month on the market, followed at a distance by another newcomer, the BMW X5 40e registered 108 units, while last year runner-up, the Porsche Cayenne Plug-In, started this year race in Third Place, with 93 units. Looking at the rest of the ranking, the Tesla Model S and BMW i3 were tied in Fourth, with 47 units, while in #7 we have another Luxury SUV surpassing expectations, with the GLE500e selling 24 units (pb) and becoming the best selling Mercedes in the ranking. On the other hand, two models under-performed in a significant way: The Volvo V60 Plug-In registered only 6 units, when a year ago it had 26, while the VW Golf GTE also only sold 6 units, far from the regular two digits sales of last year. In the manufacturers ranking, Volvo started 2016 in the lead (28%), followed by BMW (24%), and Porsche in Third, with 14%. If we combine regular hybrid sales with plug-ins, it is visible the progression of plug-in hybrids regarding regular ones, with only the Toyota Auris Hybrid staying out of reach (For how long?) of the Plug-In SUV Armada. The Yaris Hybrid dropped to Third, while Lexus hybrid SUV's simply just disappeared from the ranking. 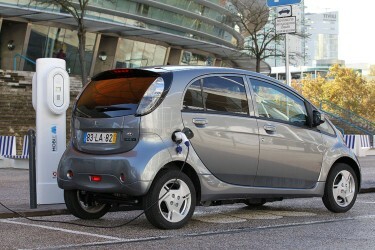 Will we see Plug-in Hybrids outsell regular hybrids this year? Looking at the models individually, the Tang SUV has already left the competition eating its dust, delivering three times more units than the #2 BAIC E-Series, which, by the way, increased its sales YoY by a factor of nine(!). In fact, only three models didn't experienced a surge in sales, the #7 BYD e6 was up only 40%, while the #9 Chery eQ sales increased an iffy 10%, with the only model losing pace, the BYD Qin, is more a victim of BYD's success than lack of demand, as the chinese company is prioritizing the fat profits of the Tang SUV, over the production of other models. 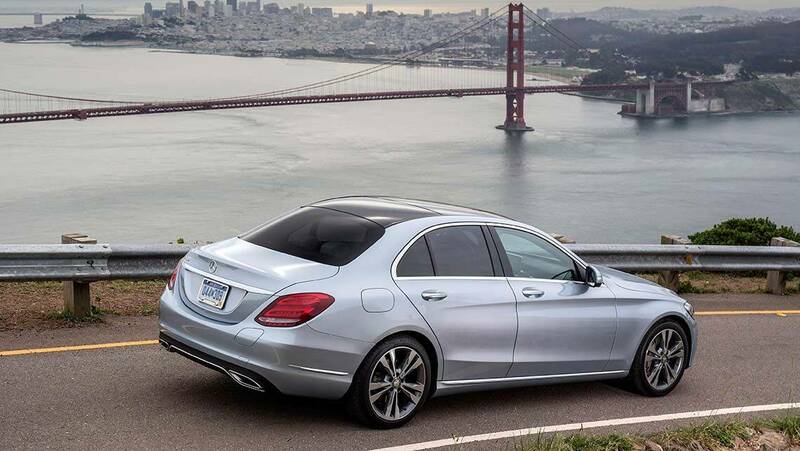 - Samsung has a partnership with BMW and FIAT, and with both auto manufacturers plug-in sales improving, Samsung has beaten last year result by a large margin, albeit it wasn't enough to win market share. - Epower is the first of a series of small chinese battery makers at the bottom of the ranking, with BPP in #8, Air Lithium (Kandi provider) in #9 and Wanxiang in #10, an interesting fact is that all of them have increased share regarding last year.